Avoiding Puffy Cheeks or, How Can I Keep Healthy During a Mumps Outbreak? Recently there has been an outbreak of Mumps at Harvard University. The number of cases is still growing, but at this time the number of confirmed cases has reached 40. All of these cases were found in students who had been vaccinated. 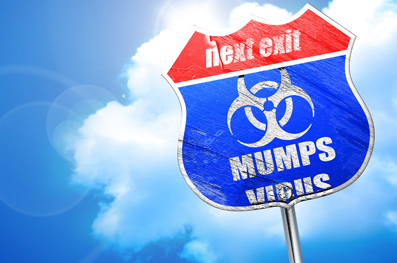 With the vaccination only being 78% effective, how can one avoid getting mumps? There are a few simple solutions that will keep you healthy and clean. Clean, being the key word, because hand washing with soap and water is one big way to keep Mumps away. Mumps spreads through coughing, sneezing, and handling objects that were used by someone who has been infected. After you’ve taken care of yourself, take care of your surroundings too. Misco Products offers a disinfectant that is proven to kill the Mumps virus on surfaces. Our Fresh Breeze TB is a disinfectant with a kill time of 3 minutes. With handwashing, disinfecting, and the vaccine, Mumps is preventable.